19 | November | 2008 | can i just finish my waffle? 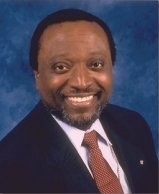 This time by Alan Keyes. Okay. 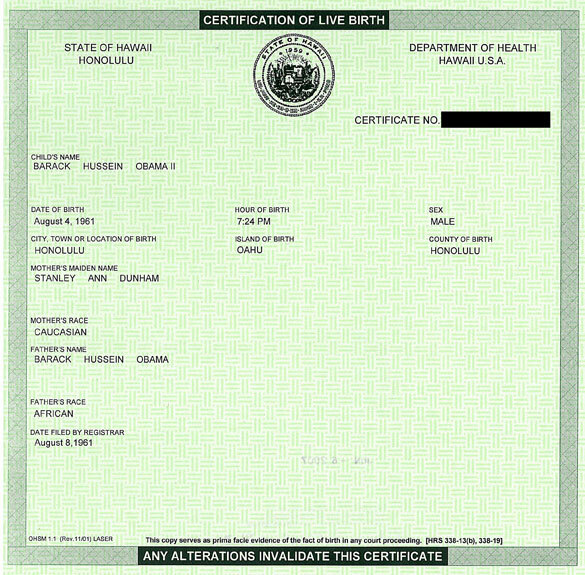 Once again this issue comes up about the birth certificate. I haven’t written anything about this that I remember, but it just keeps coming up, this time as late in the game as November 12th. Alan Keyes has reportedly filed a Petition for Writ of Mandate in the Superior Court of California, a portion of which I copied below. It shows the petition to be signed by attorneys on November 12, 2008, it has a case number, but there is no “filed and date stamp” shown. This means that it may or may not have been filed with the court. It probably was, they say it was, but this petition could be all typed up and prepared and signed and never filed with the court. All I am saying is that there is no proof that I see that it was actually filed. Also, it is a petition, not an order, so it has no weight unless the judge signs the order. It will be interesting to see if anything comes of it. This is a copy of what has been presented on the Obama website. I’ve had some experience in how a certified copy is made and how it looks. This does not look like a certified copy to me. It could be, but it does not look like one. My experience has been certifying documents from a court file. First of all, there is only one original document. To certify a copy, the copy has to be made directly from the original document. The copy then will be signed and dated by the official who made the copy from the original, and then sealed with the court seal. (Something like a Notary would do, but not the same thing.) This would be a person who is sworn in as an official in the particular agency.) You can’t even then make a copy of that signed copy; it would be invalid. So I think Senator Obama will have to present one to some authority before being sworn in as president. 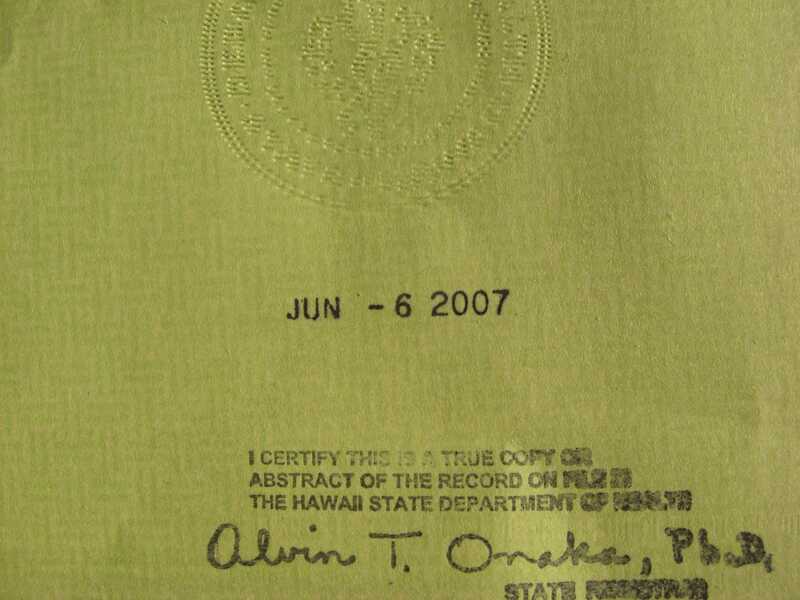 That the court issue a peremptory writ in the first instance barring Respondent Secretary of State of California, Ms. Bowen, from both certifying to the Governor the names of the California Election, and from transmitting to each president Elector a Certificate of Election, until such Documentary proof is produced and verified showing that Senator Obama is a “natural born” citizen of the United States and does not hold citizenship of Indonesia, Kenya, or Great Britain. Fact Check dot org is showing several images they claim to be made from the document the Obama people have. This is one of the images; there’s about nine of them. This looks authentic, I just don’t see it on the document above. I am just wondering why this is still a question.